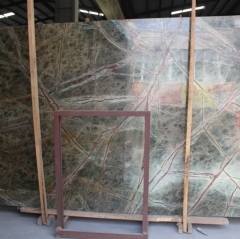 If you're interested in Rainforest Green Marble Flooring Wall Tiles and Slabs, just feel free to contact us, we will keep providing quality products and excellent service for you. 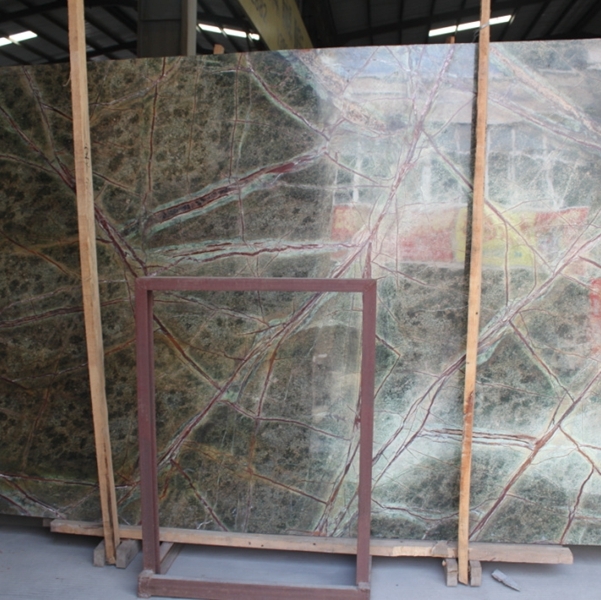 The Spanish royal lineage endorses marble stone tiles, which originated from Spain's Mirosi marble stone bricks. It is a stone with Spanish royal descent, European architectural humanities and art elegan.ce, noble noble temperament. It can be said that the brand of Milosi marble stone brick is a modern stone nobleman, with inherent dignity. The marmocer is composed of Spanish marmo (marble) and cer (tile). Therefore, marmocer is a stone brick that represents the perfect combination of natural marble and ceramic tiles. Milosi Marble Stone has historically opened up new areas of building materials and defined a new generation of extremely environmentally friendly stone. The Milosi Brick is positioned in the high-end stone market, inherits the European elegant stone architectural art and high-quality human life. It regards the "Luxurious Living Creator" as the stone brick brand vision, and takes the ownership of the owner's human nature and self-identity as the spiritual origin. , To optimize and upgrade the texture of life, to use the stone as its goal, to promote the stone decoration concept of “Relying on Nature with Science and Technology, Optimizing Habitation with Innovation”, and to fully integrate “U+ Technology, U+ Quality, U+ Support, U+ Design, U+ Space”, etc. Quality living system elements, dedicated to the noble power of the trend of the stone age, to create a luxury lifestyle belonging to a class. Luxury home life is not only a unique brand concept but also a lifestyle. It is not only an extension of the ideas of high-level extremeism and modern aestheticism, but also a level of detachment of simple materialism that highlights the self-satisfaction of the spirit level. It is not only a choice of personal lifestyle and style, but also a demonstration of social fashion. Trend-oriented. Different from homogenized building ceramic products, Milosi marble stone bricks start from the trend of market consumption and provide high-end villas, large commercial buildings, star hotels, office buildings, venues, and clubhouses with high-quality, outstanding stone textures. Selecting objects will create a noble, natural and beautiful mansion space, and it will promote and lead the life style of life. As Milosi bricks believe, the keen leadership of the fashion trend, the highest preference for elegant decorations, and the pursuing of noble life, are essentially the overflying of the texture of life, and the ultimate realm is the one that belongs to one. Class lifestyle. The Milosi brick was always born for a luxury home. 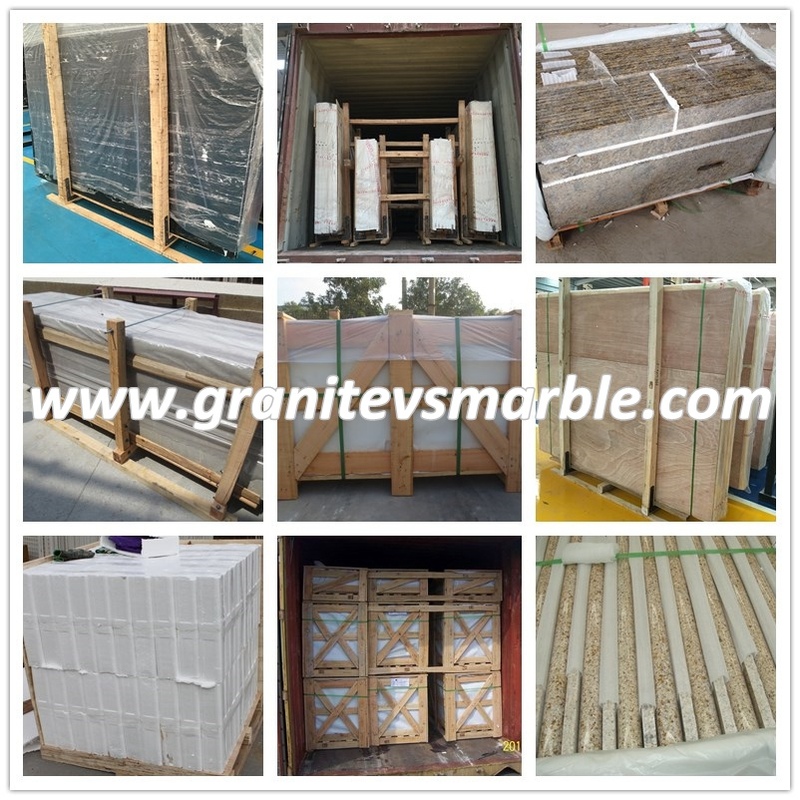 In the 11 years since the establishment of Milosi, marble stone bricks have spread all over China, Southeast Asia, the United States, Europe and other countries and regions, and the number of sales outlets has exceeded 100. 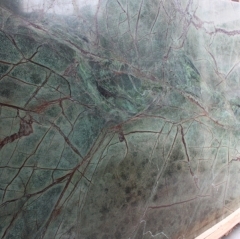 The company follows the concept of “Treasuring Nature with Science and Technology, Optimizing Human Settlements with Innovation”, and adopting the development strategy of “Building the Leader Brand of the Brick Industry and Benchmarking the Market”, relying on some of the monopoly marble supply sources in Spain, Italy and other world famous producing areas. 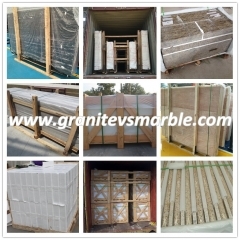 It has established a large-scale, world-class production base for marble stone bricks with a total area of ​​70,000 m2, advanced production equipment and technologies, and optimized production process management throughout the company, thus strongly guaranteeing high production efficiency and high product quality. 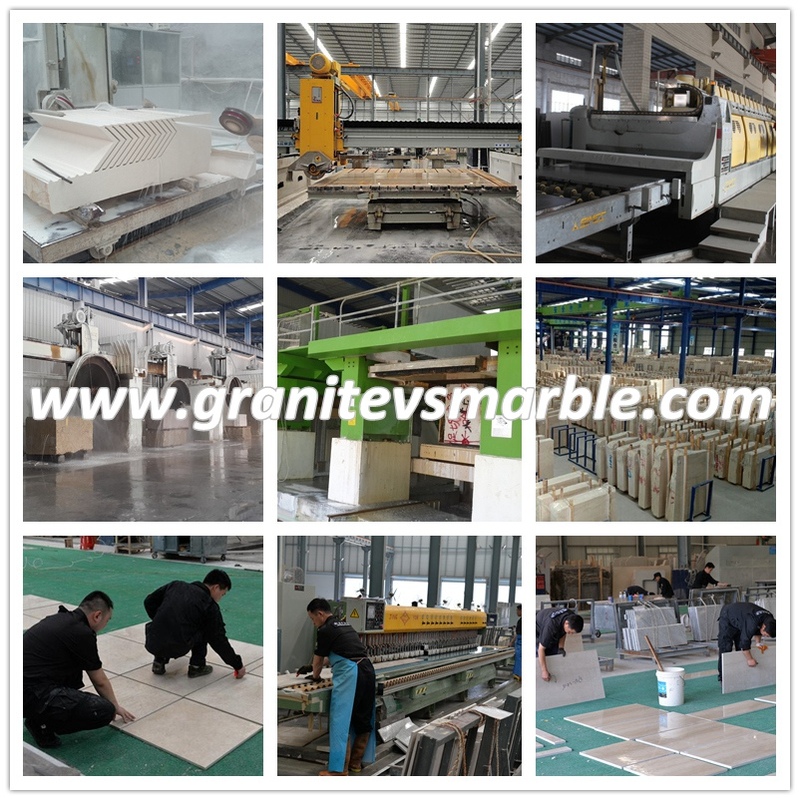 In 2011, Milosi Marble Tiles landed in Dalian with its flagship store located at No.15 Fujing Street, Fuyi Street, Happy E Home (opposite to Happy Home). 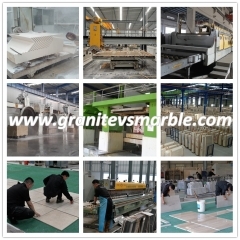 It is mainly dedicated to sales and brand promotion of Milosi marble stone bricks in Dalian. 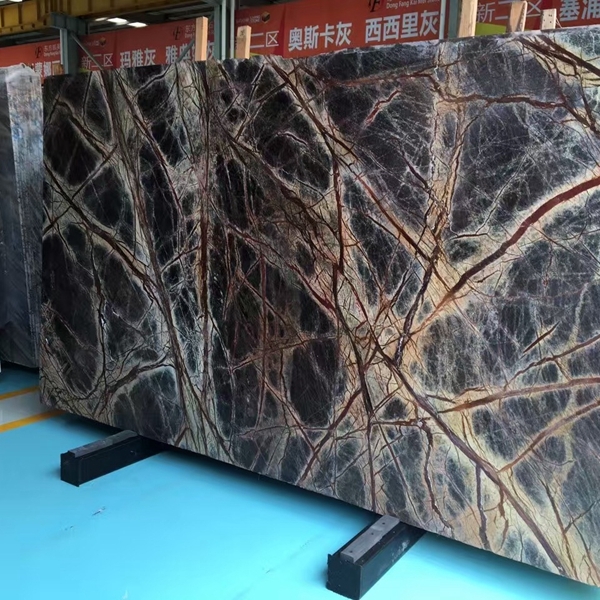 The arrival of Milosi marble stone bricks will surely bring the royal aristocratic enjoyment to the high-end customers of Dalian's luxury residences!